With most of its waters lying in the Arctic north polar region, the Arctic Ocean is the smallest and shallowest of the world’s five oceans. 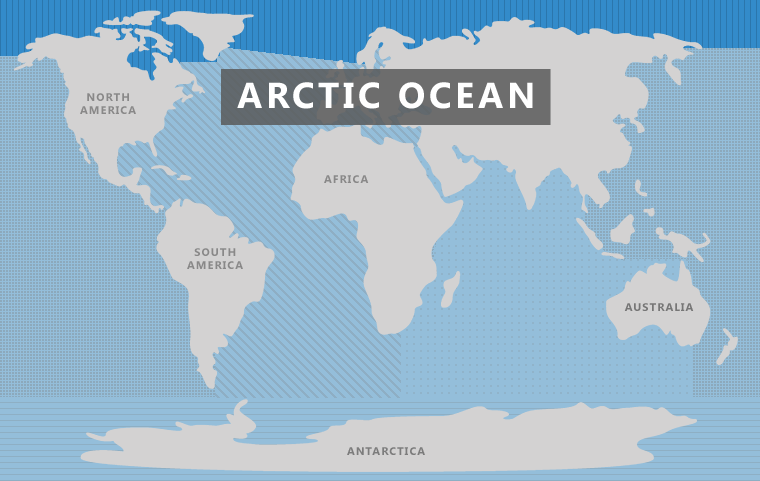 Some scientists call the Arctic Ocean the North Mediterranean Sea or the Arctic Sea. Covering approximately 5,427,000 square miles, the body of water is approximately the size of Russia. Continents that border the Arctic include Europe, Asia, and North America. The U.S. and Russia maintain floating research stations in the region. Due to its cold temperature, part of the ocean remains covered by ice throughout the year; however, nearly all of the water’s surface is covered in ice during winter. The water’s salt levels vary throughout the year along with temperature, though the Arctic generally contains less salt than the other four oceans due to its low evaporation rates and the large amount of freshwater that is contributed to the ocean by rivers and streams. Sea ice covers much of the Arctic Ocean and is generally thicker during colder seasons and thinner when the weather is warmer. Portions of sea ice can be moved across the ocean by wind and water currents. Icebergs may break off frozen land areas and create dangerous conditions for ships that sail across the Arctic. They may also from glaciers in Greenland and the parts of Canada that lie furthest northwest. Because the waters of the Arctic are covered in ice for most of the year, the cold temperatures of the ice cause subfreezing air temperatures in the area. The cold air then moves toward the equator and collides with warmer air along the way, causing rain and snow. There is little range between the weather from season to season in the Arctic region. Winters are generally continuously dark with clear skies, calm waters, and cold, stable weather. Summers include continuous sunlight, damp, foggy conditions, and mild cyclones that may include rain or snow. The Arctic Ocean’s ecosystem is very fragile and is home to many endangered species. Phytoplankton are the only plant types that live in the Arctic Ocean, and they play a very crucial role in the local ecosystem. They consume nutrients from streams that travel from the Atlantic and Pacific Oceans and photosynthesize during the summer months when there is virtually endless sunlight. This abundant sunlight allows phytoplankton to reproduce very quickly. However, the very limited amount of sunlight the Arctic Ocean receives during the colder months makes it difficult for phytoplankton to survive during winter. One major environmental concern for the Arctic region is the slow rate at which it changes, which makes recovery from damage to the local environment a very slow process. Natural resources that may be used for commercial purposes are also found in the Arctic Ocean, including fish, petroleum, natural gas, sand, and gravel aggregates. The political dead zone in the area has also become a recent focal point, as the area may contain large oil and gas reserves. 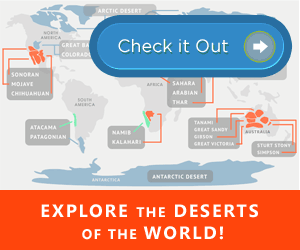 Explore more interesting facts about the arctic ocean.